Thick, curly, natural hair, can be pretty hard to tame, but once you understand the dynamics of natural hair, you’ll be able to better care for it using natural ingredients. 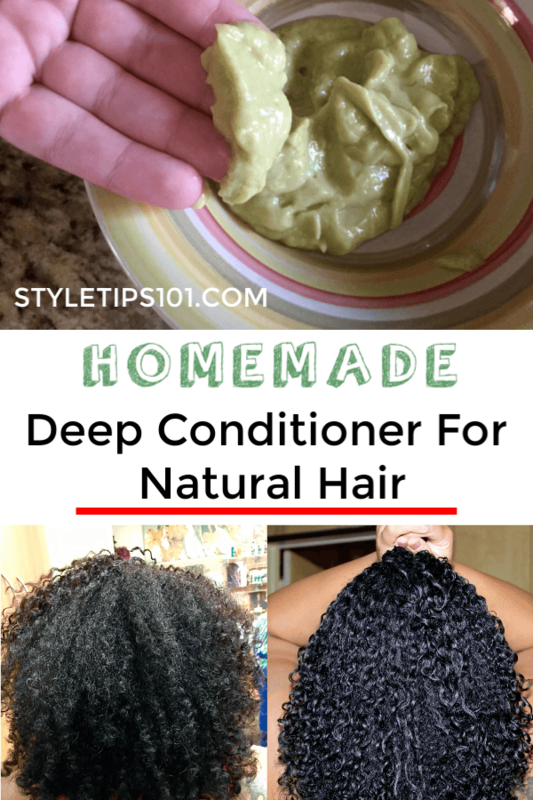 This homemade deep conditioner for natural hair uses all natural ingredients that penetrate thick, dry hair better than most store bought products! 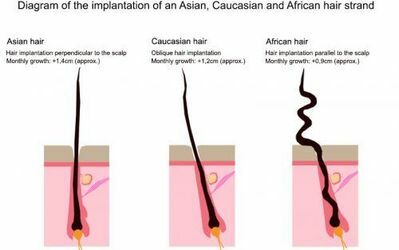 Basically, natural hair, or African hair, is different than Asian or Caucasian hair because it is much curlier and much thicker, therefore making it prone to dryness. Because of this, it’s also much harder for products to penetrate the hair follicle. This is why it’s super important to use a deep conditioner 2-3 times a week, and especially a natural one at that. Store bought conditioners are laden with chemicals and other ingredients which can further dry out the hair follicles. Keep reading for this homemade deep conditioner for natural hair! In a bowl, mash a ripe avocado using the back of a fork. 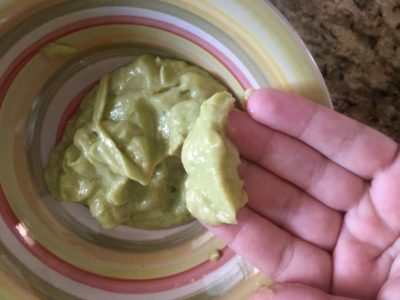 Add the mashed avocado, olive oil, and mayo into a food processor or blender and pulse into a smooth, creamy consistency forms. Apply to dry hair, and massage gently into the scalp for 2-3 minutes. Leave on for 30-60 minutes and rinse out with cold water. Follow up with a shampoo and conditioner of your choice. Avocado is super rich in fatty acids which is excellent for dry, unruly hair. It moisturizes the hair, and gets deep into the follicles to tame frizz and add hydration. 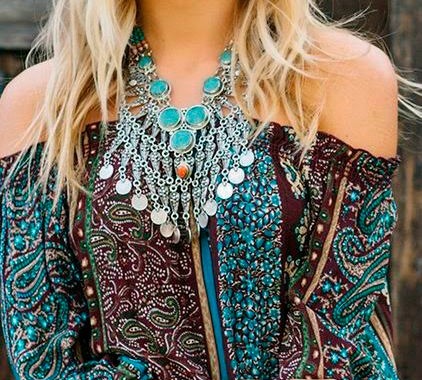 Olive oil is also super hydrating and will help smooth and tame wild locks. 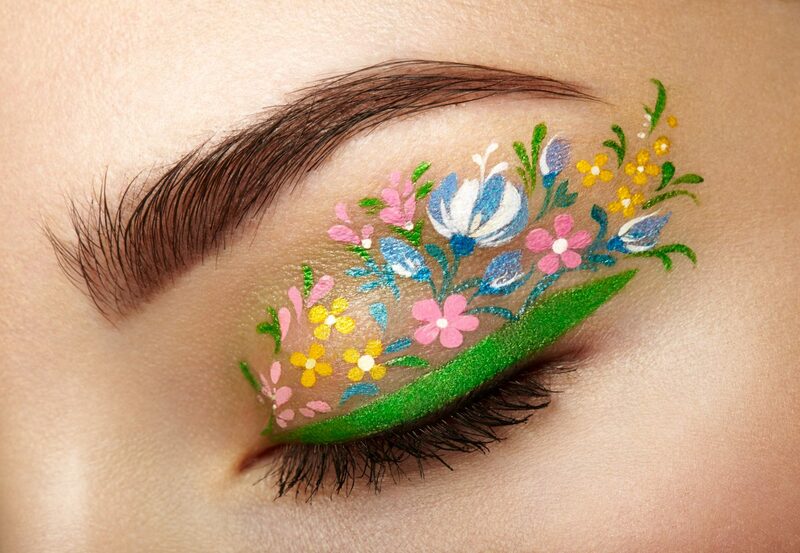 Olive oil also has the ability to penetrate super deep into the hair follicle. Mayonnaise is an all-around amazing ingredient for ALL hair types, but especially so for natural hair because it’s packed full of fatty acids which moisturize dry hair.